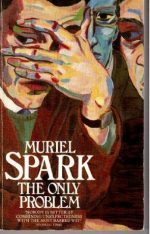 The Muriel Spark Centenary in 2018 (#murielspark100) affords an opportunity to look back on Spark’s achievements, and forward to ways of making those achievements more widely known – to reflect and to resituate. Arguably the most important Scottish writer after Burns, Scott, and Stevenson, Spark remains relatively neglected, the sheer diversity of her oeuvre appreciated only by her constant readers. The Prime of Miss Jean Brodie still stands as the crème de la crème, but beyond Brodie her sparkling legacy includes another twenty-one novels that still await the critical editions they so clearly merit, as well as poems, plays, short stories, critical essays and biographies, the latter containing the elements of a theory of art as rich and complex as any attempted by James Joyce or Samuel Beckett. To have read all of Spark is an achievement in itself, but also a spur to share that experience and to try to convey the impact and significance of her extensive portfolio. Here I want to focus on one novel, her seventeenth, that captures beautifully her fusion of faith and fiction. She is, after all, a writer who claimed that her conversion to Catholicism opened the door to her life as a novelist (she was already a gifted critic, poet and short story writer). Harvey is full of such pronouncements. His work is the prism through which he views all the events around him. He is also full of subtle distinctions. When a police officer describes him as scholarly, Harvey responds: “No, studious. I can afford to study and speculate without achieving results” (86). In that sense, The Only Problem is a study in evil. It is not the scholarly commission Spark never fulfilled. Some readers will see Harvey’s hair-splitting and nit-picking as ultimately self-serving – and even author-serving, since Spark left her husband after he had left her no choice – but character and author might see it serving a larger purpose, that of elucidating the Book of Job. The stolen bar of chocolate that prompted Harvey to walk out on his wife and embark on his study is incidental to the police: “A bar of chocolate isn’t a dead policeman […] We are looking for a political fanatic, not a bar of chocolate” (164, 167). But for Harvey it’s all of a piece, all part of the big picture, and a piece in the puzzle that is the only problem. Harvey will insist that he “saw the terrorist in Effie long ago” (176), and such absurd reasoning reminds us of Thomas de Quincey’s line on murder. Here, the line goes that stealing a bar of chocolate is a dead giveaway for terrorist potential. The Only Problem is about two hearts, the fanatic and the student, that can at times beat as one, although Harvey Gotham, in his infinite wisdom, might want to dispute that. Muriel also ‘goes into detail after detail’ in her search for … what? The truth? The story? The mystery? The sacred? The self? All of the above? One thing’s for sure, if the Devil is in the detail, then so too is the Dame. In her centenary year, while necessarily ‘making the broad, generalizing sweep’ we should appreciate Spark’s jeweller’s eye for detail, her studiousness, and in celebrating her achievement we should focus on her hidden gems as well as her more prominent pearls, searching beyond Brodie for the rest of the cream. The only problem is, with such riches, where to start? Muriel Spark, ‘The Mystery of Job’s Suffering: Jung’s New Interpretation Examined’, Church of England Newspaper (15 April 1955), p. 7. All references are to The Only Problem (London: The Bodley Head Ltd, 1984; London: Granada Publishing, 1985). Spark’s epigraph is from Book of Job 13.3: ‘Surely I would speak to the Almighty, and I desire to reason with God’. For a painstaking discussion see Hugh Pyper, ‘The Reader in Pain: Job as Text and Pretext’, Literature and Theology 7, 2 (1993): 111-129. In her early co-authored study of Wordsworth, Spark remarked that the poet ‘seemed to require some profound emotional disturbance before the universe appeared to him in vital and imaginative terms’. Muriel Spark and Derek Stanford, “Wordsworth the Person”, in Tribute to Wordsworth: A Miscellany of Opinion for the Centenary of the Poet’s Death (London and New York: Wingate, 1950), p. 16. Yet Hugh Pyper’s conclusion in his otherwise excellent essay on The Only Problem appears to go against the grain of Spark’s sense of suffering for her art, as he sees the novel as in part a meditation on ‘survivor’s guilt’: ‘To write a monograph like Harvey’s, or a novel like The Only Problem, or indeed this paper argues a level of privilege, of freedom from the causes of suffering which may prompt the question ‘Why not me?’. Perhaps like Harvey we have to persuade ourselves that suffering the guilt of privilege is sufficient to give us some inkling of what it might be like to be without that privilege of protection. Part of the pain of the reader is the knowledge of the vicarious nature of the reader’s pain’ (125). One could argue conversely that Spark’s vision goes beyond vicariousness and that the relationship between suffering and art remains the key to her own writing and to her criticism. She really did suffer for her art. Muriel Spark, John Masefield (London: Peter Nevill, 1953; revised edition, London: Hutchinson, 1991; London: Pimlico, 1992).